I got up this morning and took my Jeep in for an oil change and new shock absorbers. Then I went to vote at the Cambridge Armory. It got a bit surreal. 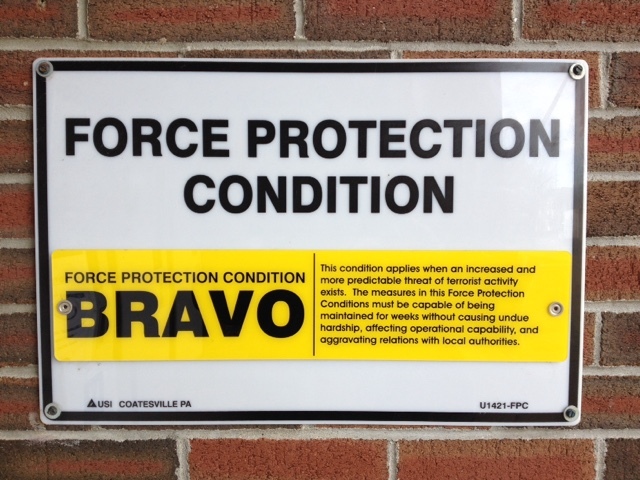 Force Protection Condition Bravo means "increased or more predictable threat of terrorist activity exists." If we were in the immediate area where a terrorist attack was occurring, a National Guardsman would come round to screw out the plate with the Bravo warning and screw in the plate with the Delta warning. 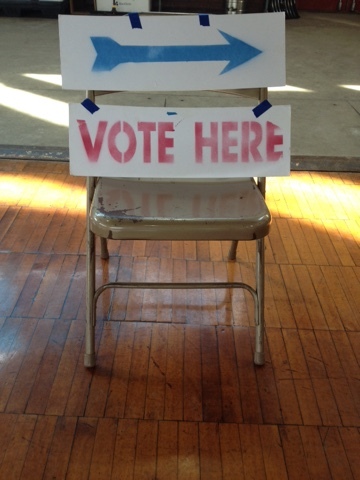 Was I supposed to vote here in the chair or over there in the direction the blue arrow pointed? I sat in the chair for over an hour figuring that one out. 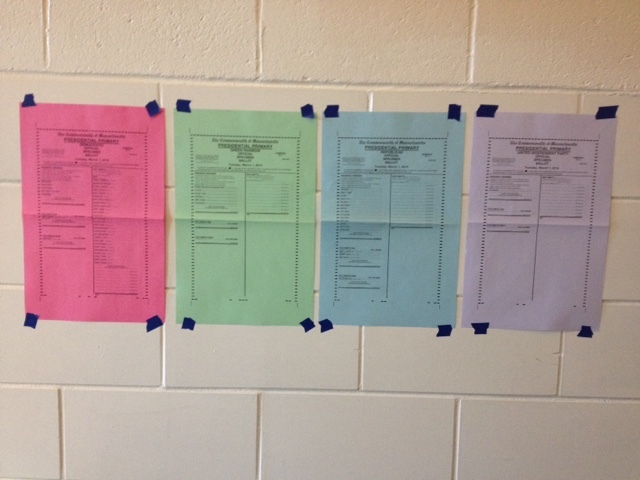 Then came the color coded ballots, arranged in descending order by our Cambridge poll workers: red for Democratic Party, green for Green-Rainbow Party, blue for Republican Party, and purple for United Independent Party. Feel the hillariously subliminal bern: the Democratic Party ballot is decidedly more pink than red. If you're wondering why purple didn't get put ahead of blue, there were no actual candidate names on the United Independent Party ballot. I was tempted to request the purple ballot and write my name in for Ward Committee, State Committee Man, State Committee Woman, and Presidential preference as a perfect unity ticket.